An Aussie truckie walks into an outback cafe with a full-grown emu behind him. The waitress asks them for their orders. “Sounds great, I’ll have the same,” says the emu. “That will be $9.40 please,” and he reaches into his pocket and pulls out the exact change and pays. “No, it’s Friday night, so I’ll have a steak, baked potato and a salad,” says the man. 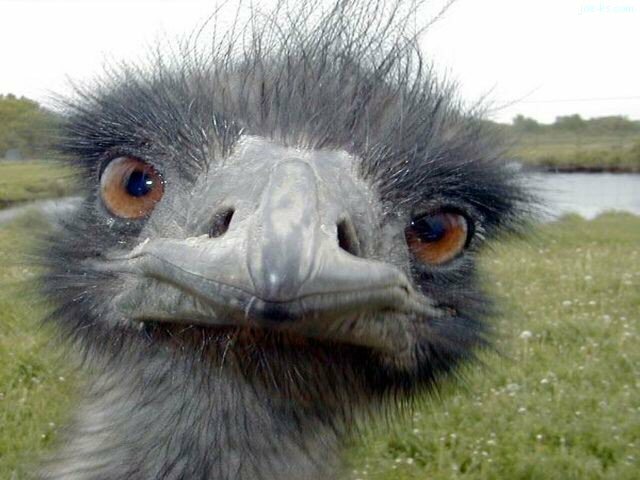 “Same for me,” says the emu. “That’s right. Whether it’s a gallon of milk or a Rolls Royce, the exact money is always there.” says the man.